This appears to be the ghost of a Draenei child. Our very own ghost loli. What's not to love? 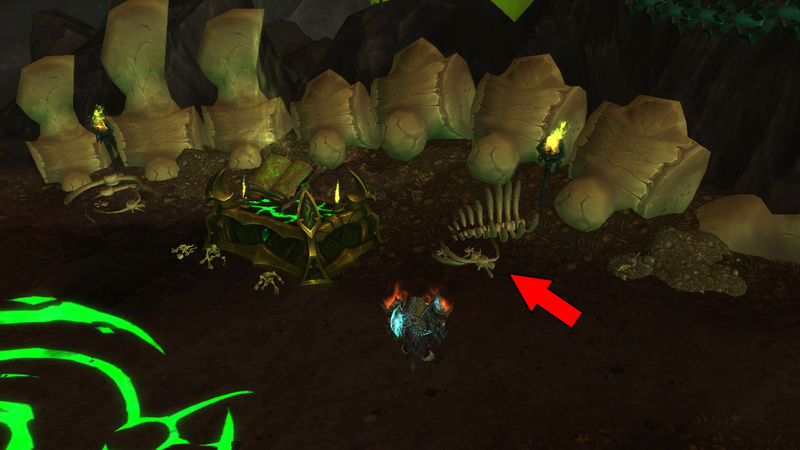 Find Call of the Devourer, a random drop from humanoids on Scavenger's Boneyard (south of "The Spirit Crucible" letters on your map). It tells you to collect intact bones of different Argus species to create a bone effigy to spawn The Many-Faced Devourer. Stay at Scavenger's Boneyard and collect your Fiend Bone. 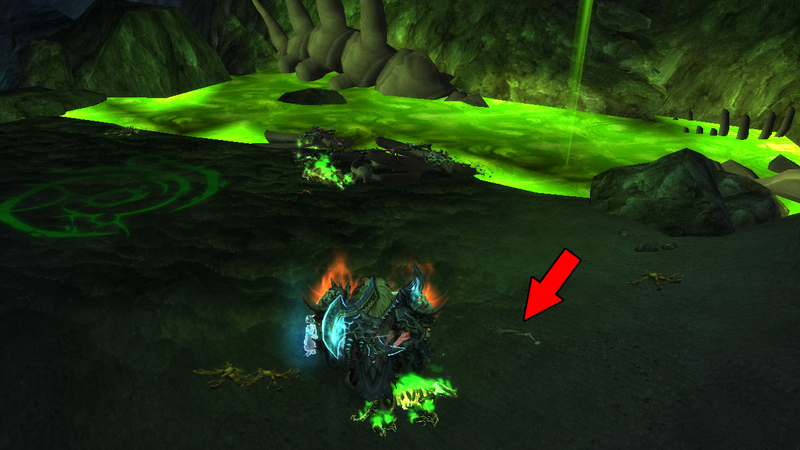 Go south to Collector's Hovel (northwest of the Felfire Armory) and collect the Ur'zul Bone. 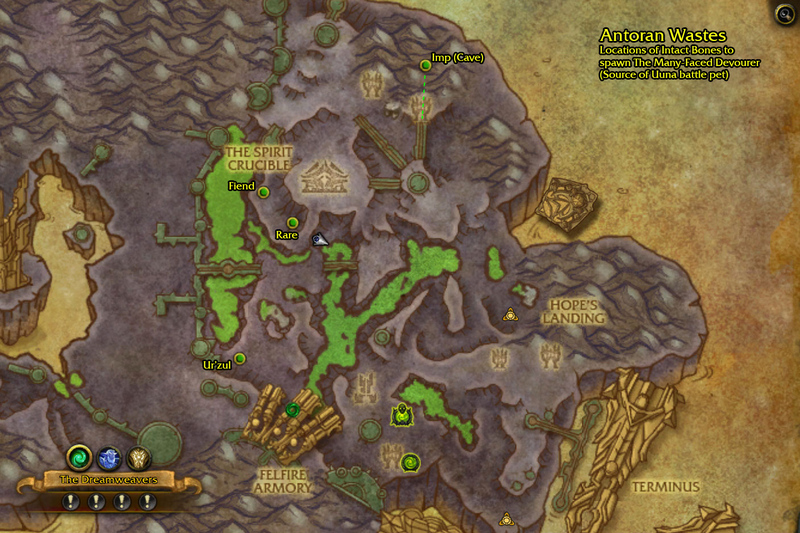 Head to Den of Fiends in northeastern Antoran Wastes (on the map you see three bridges to north, northwest and west, the northern one leads into the cave with the imp mothers). Pass the first imp mother and near the pool of the second one look for a bone arm on the ground and collect your Imp Bone. Return to Scavenger's Boneyard now and look for a place filled with tons of bones. With all 4 items in your bags you now see a green marked pile of bones there, click that spot to Create Bone Effigy (the items are removed from your bags now). From now on you have your own permanent Bone Effigy at the boneyard. 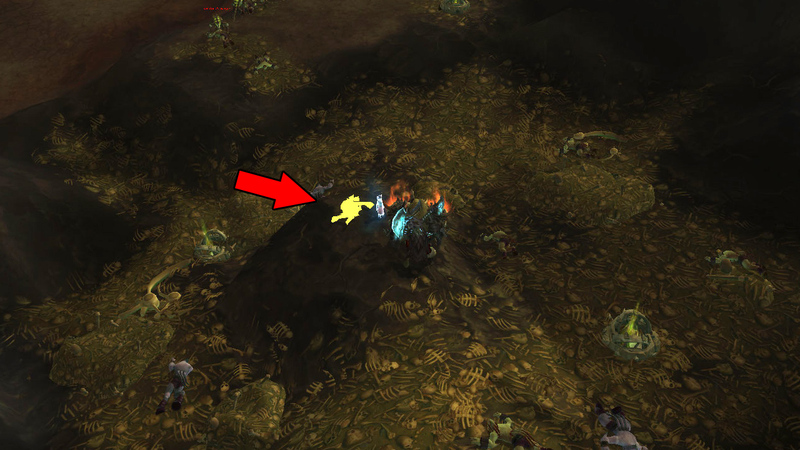 To spawn The Many-Faced Devourer empower the Bone Effigy (it also has the rare spawn golden star on your minimap) by clicking it. This demon melee-hits with all six heads on his body stacking up to 6x Hexabite. He also casts stacking Devour Souls to weaken you and fears with Fearsome Howl. 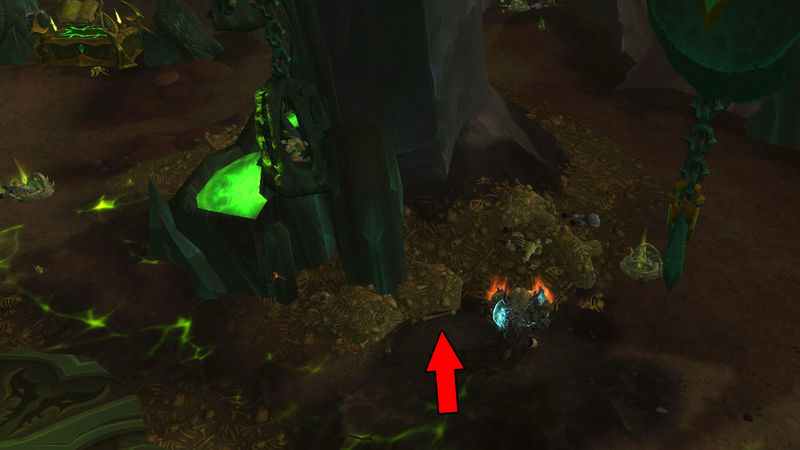 On kill there's usual Argus Rare Spawn loot and he has a chance to drop Uuna's Doll. Keep in mind that you can not cage and trade Uuna but you may trade the doll with players that were also eligible to loot it. It looks like there's only a short cooldown on the Bone Effigy, so you can spawn this Rare Elite for other players if you want. On PTR you got loot on each kill, but for live servers I expect a change to match other rare spawns (loot once per day and character). Good luck and have fun with Uuna! Chance to drop from "The Many-Faced Devourer"
As of this posting, you can leash Uuna but I expect Blizzard to nerf this like they did with the argent helper. Scare your friends with the help of the Magic Pet Mirror! The tooltip is also pretty funny: "Click to summon or dismiss your Uuna"
The only pet I've ever put on my action bar. She is very cute but it breaks my heart every time I summon her, since I understand that it's just an innocent child which got sucked into that disgusting monstrosity and now is doomed to wonder as ghost on this broken planet. At least now she is free and I can show her the world. I really wish to have some interactions with her, like responding to positive or negative emotes of my character, or expressions she could've make as she visits new places or stories she could've tell of her past..
Uuna is the twin of Ashlei the Shadowmoon pet tamer from WoD. Don't know if this is intentional or lazy on Blizz's part, but they are pretty much identical. Pet leashes seem to work. I found if you walk, she does do the skipping with her arms out. Also, as of today, she has lost her battle specs, very odd. Is it possible to loot Uuna's Doll even if your not the one who has summoned the The Many-Faced Devourer? For emotes, use them in this order after Uuna begins to speak. so far what was found in WoW secret finding discord. credit goes to the players who found it. Hello? Who's there? I heard you! Who are you? Can you help me? It's so dark! I can't see a thing! Are you sad too? Are you lost like me? At least we're together now. We just... don't know where we are. But you're my friend, and I know it's gonna be okay. I wish I could see better. It's always so dark here! It's too bright! Too bright! Owww! It's gotten a little brighter! I can see... sorta. Oh, hi! Who are you? I'm Uuna. Wanna be friends? Maybe together we can get outta this place. I wish Nuu were here. He'd know what to do. Nuu-Nuu! I was scared I'd never see you again! How did you get here? Nuu is here to help us, friend. I knew you'd find us, Nuu! I'll hold onto him so he doesn't get lost again. i seem to have a problem with the Suramar Nighthold part of this quest. My disguise drops off and Uuna won't complete that part for some reason. Any ideas? I've done the dark place part, and summon Uuna in Vale of Eternal Blossom. She hasn't talked to me about anything yet, and I wonder what's going on. Hopefully it will be fixed after the server restart or something. A question for those who completed the secret event. Once you finished the event, does Uuna change her appearance for ALL your characters, or just the one who did the event? Прошла весь сенарий с ууной ) Милая девчушка))) Везде все удалось пройти )))) Зачем я потратила час на это? Не знаю ) просто так ) Интересно сделали близы ) Интересно, за это вообще ничего не дают ? Или же все таки бонус какой нибудь будет ? If you are having problems with the Nighthold part of this quest line it is probably because you have not done Insurrection. Without this achievement the NPC's will be hostile and this part of the achievement will not complete. At this point it is worth finishing the story line and getting the mount. Consider it the silver lining in a longish grind! In the last stage, where you have to run through the shadows in the scenario I used a macro to ensure that I got Uuna hugged as soon as I could and moved this to my number three spell (and movement boost to #1). Why are your child companions always little girls? It's starting to get creepy. Anyone know if she's going to be available after Legion? This is a lore rant. Something that annoys me so much about this, is just how much this here gives me reason to hate on blizzard for what they are doing with BFA. So I found the pet on my orc shaman, and after finding out what I needed to do for the proceeding 'quests' with Uuna, he went though all this, even going to alliance towns that guards spawned and attacked me to get it done. That didn't bother me, its clear they made this more for alliance players, but as an horde players I did this regardless. My orc shaman went into the shadowlands to find her and rescue her, he brought her all over azeroth and draenor, and in the end i like to imagine her and him being friends every time he gives her a hug. 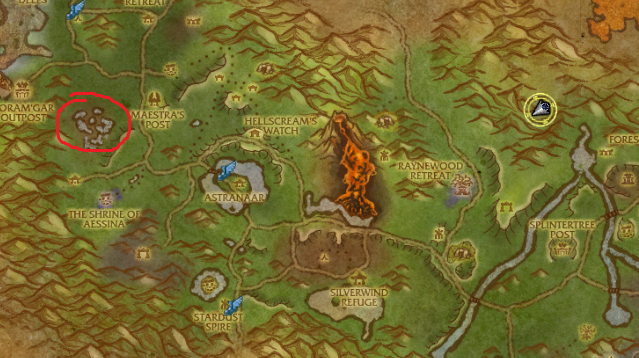 The expansion following this is about the horde blindly following a tyrannical warchief into burning down teldrassil and possibly killing many, many innocent people. This is what I hate about blizzard, I was able to go into the shadowlands to save a draenei child from a fate worse then death, be a hero, but the writers want me to forget all that and become a faction pawn once again after everything in legion and all the good we did. When you go from saving innocent souls from the legion regardless of their faction or race, to now following a tyrant killing innocent people, how am I meant to overlook that, it makes my character into a sociopath. Rant over, just consider this fact when your doing this quest as horde. You will need her with ALL her questline done for Baa'l. REMENBER that you need to "upgrade" her to get the pet Baa'l, good luck. Bugged as of August 25th. Accidentally dismissed Uuna at the Nighthold trigger and she will no longer trigger a dialogue. I know this step is incomplete because she will not trigger dialogue at the following location (Krasus' Landing). This Secret Pet has quite a bit of involvement with other secrets, and quite possibly might have more involvement! How To Get Uuna - And Complete Her Story Line! Completing Uuna's Quest Line you will have access to getting your hands on, Baa'l, and Waist of Time! And Potentially more? Who Knows yet? But Note, Uuna's Doll, is not a 100% drop. It may take a few attempt. Though you may only Kill The Many-Faced Devourer once per day on the same chracter, does not mean you can't also kill it on an alt. You can also kill The Many-Faced Devourer from someone elses summon, likewise can someone kill him from your summon. Help people out if you can. So Learning Uuna's Doll you will be able to summon, Uuna! But once summoning Uuna if you hang on for 2 minutes she will begin to interact with you. After she has finished talking, /whistle at her. She will then try to find you, and once she has finished running around /Roar at her, and you'll scare her off. Summon her back and then /Cry on her. Now you need to take her to some light, and that is in Shattrath City. 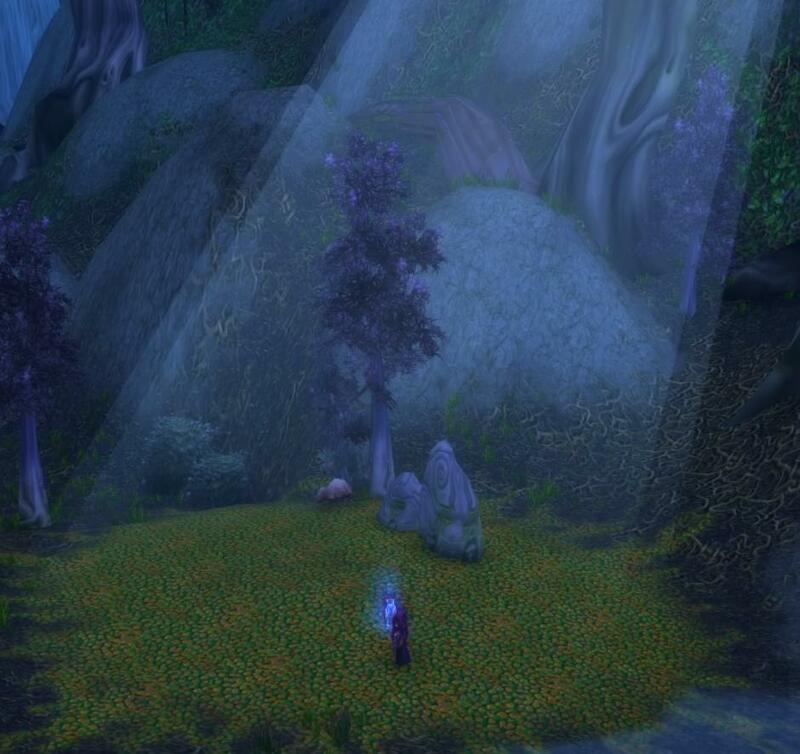 But this is too bright so instead you take her to some moonlight in Ashenvale. Now she would like to be your friend, however, she wished she had her toy with her, so take her to get her toy! This Toy is located on a floating island in Mac'Aree, upon getting it you shall now get her at wand! And this Wand is located in Bloodmyst Isle. Phew, she is all set to take out bad guys. But again, Wait 2 minutes and she will be swallowed into darkness - We Must Save Her! And to do this... we must Kill ourselves! Yes, we must talk to a Spirit Healer. talk to her and ask if she has seen Uuna. She has not, but she will mark you ready for the next part. And this next part takes place in Dragonblight, Here we have to click a Shadow Tear. This will Teleport you to A Dark Place. In there you need to /Cheer at her. Then place a Bright Campfire down for her to warm herself up. Uh oh.. It's going to get spooky, because now you need to ward off Soul-Eaters.. And to do this you must run into them. Keep doing this until Uuna wraps her arms around herself and begins to cry. And when she does that you must /Hug her. And thus you've completed this chapter! Next is World Tour! Now she wants to see the world. Quite simply visit these locations and walk around a bit until she talks to you. /way Kun-Lai Summit 44.8 52.5 Top of The Mountain! As soon as she has finished her Dialog at Karabor and has said the line, "But... Note Yet" You know that you have completed her story line 100%! Now you can do lots of other secrets! Big Well Done to the Secrets Community, Ace work as per usual! I wish Blizzard would add to the quest-line so we could get a mount for Uuna. I feel guilty, a bit like a slave driver, watching her run behind me as I ride comfortably on my mount. A cute house-cat or bunny rabbit mount perhaps? Or maybe a puppy? Although it should be able to fly too... so maybe a baby sloth with wings or a baby owl? Or maybe something dark and sinister... she is a ghost after all. Jump naked, it can save you loads of money. I had problem (not only here) with Uuna not trigging. For me it helped to re-log. I failed a few times because I couldn't attack the mobs. How was I to know that my job was to scare them? Again, helped by a video. This humanoid pet is a companion. It cannot enter battles and does not have stats. Uuna was found bound to an Ur'zul, and was released into the Shadowlands, where she wandered in the utter darkness.